Last edited by CoffmanStarter; 4th Oct 2013 at 14:51. Congratulations all round, I read the Gurkha story a while back and I believe they were pushing for a higher award at the time. Last edited by NutLoose; 4th Oct 2013 at 15:07. I'm ashamed to say I didnt even know we had winchwomen (if that's the correct term) on SAR. Fantastic job! Is he an ex AAC chap? Last edited by Trim Stab; 4th Oct 2013 at 16:44. Yet again, a winchweight with huge cahoonas. Winch woman Sergeant Rachael Robinson was a member of the crew of Rescue 169, the duty RAF search and rescue helicopter from A Flight, 22 Squadron, called to rescue a crewman from a 25 metre French fishing vessel, “Alf” in the Irish Sea on Thursday 21st March 2013. The crewman had serious head injuries and his condition was deteriorating. The Alf was pitching and rolling violently, climbing and descending vertically 40 feet with each swell and rolling violently. The 35 knot wind whipped up spray and the sheeting rain further hampered visibility. The Alf’s captain spoke very little English, so a 3 way translation service was arranged via satellite phone involving English and French Coastguards and the crew of Rescue 169 to brief the French captain about how the RAF helicopter crew intended to get the crewman off the fishing boat. Winch woman Robinson made 6 separate, hazardous descents on the winch-wire in an attempt to reach the Alf’s tiny deck. So violent were the seas that Rachael was repeatedly snatched from the heaving deck as the boat plunged into wave troughs faster than the winch cable could be paid out. After three winching attempts, the Sea King was running out of fuel, so a swift refuel was arranged at Haverfordwest to prepare for a second attempt. It took three further attempts before Flight Lieutenant ‘Taff’ Wilkins – the Sea King’s captain – eventually calculated the lift to the optimum second, climbing his Sea King as the Alf reached the top of a swell, plucking Rachael and the casualty clear of the deck. The casualty was treated en-route for head injuries and hypothermia and was taken to Swansea Moriston Hospital. It was entirely due to the actions of the crew of rescue 169 and Rachael Robinson’s incredible fortitude that the injured crewman survived. Sgt Robinson will receive her Master's Medal at the Guild's annual Trophies and Awards Banquet to be held in the Great Hall of London's historic Guildhall on the 23rd October. 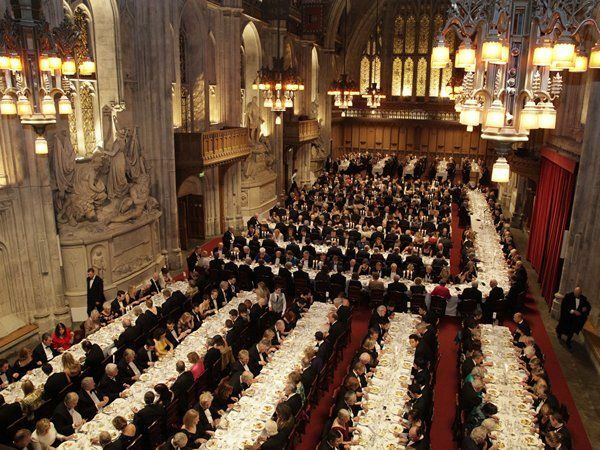 The Banquet will be attended by HRH Prince Andrew Duke of York, Grand Master of the Guild. Official guests include leading figures in aviation from around the world. Impressive list. Well done everyone. Re Bar to MC, anyone know when the last one was ? During World War I, Acting Captain Francis Victor Wallington of the Royal Field Artillery was the first person to be awarded the MC and three bars when he was invested with his third bar on 10 July 1918 (gazetted 13 September 1918: he had obtained the first three awards as a second lieutenant). Three other officers were subsequently awarded a third bar, Percy Bentley, Humphrey Arthur Gilkes and Charles Gordon Timms, all of whose awards were gazetted in a supplement to the London Gazette of 31 January 1919. Yes, I looked at that but couldn't clearly see the last. Many years ago I had the pleasure of meeting two gentlemen who both held the MC and bar (WW1 awards) I photographed them and their medals - one of them had won his with the Camel Corps! Last edited by Tankertrashnav; 5th Oct 2013 at 08:55. Tim was also a former Coldstream Guardsman prior to AAC - good to see him recognized. Location: Liverpool based Geordie, so calm down, calm down kidda!! Have you actually read the citation for the Gurkha MC???? Get on the MOD website and read it, it is a good use of your time. Hit on the helmet by a bullet, dazed and throwing a grenade out of his sangar which exploded and blew him over. Getting up to see a bloke in front of him and drawing his kukri, fighting hand to hand, then to top it all they fell out of the sangar still fighting. Sounds like a rambo film........ Is an MC enough??? Someone forgot the first rule never ever get a Gurkha angry, nicest guys in the world. Last edited by NutLoose; 9th Oct 2013 at 21:54. 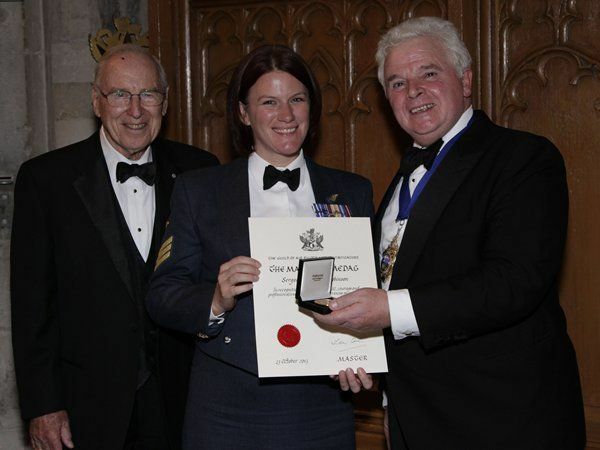 Sergeant Rachael Robinson received a standing ovation from the 670+ people present at the Guild of Air Pilots' Trophies & Awards Banquet held at London's Guildhall on Wednesday evening. 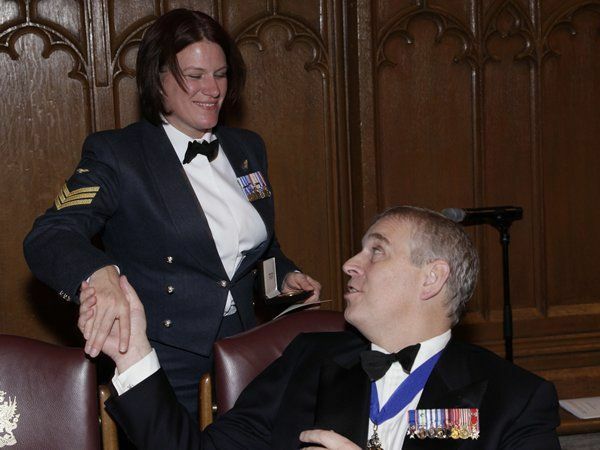 The Guild became the Honourable Company of Air Pilots in February 2014. Enough frivolity - well done Sgt Robinson. Last edited by Lima Juliet; 25th Oct 2013 at 19:52.